Searles Leisure Resort are proud to have been awarded GOLD for 2017/18 having retained this esteemed Gold standard award for the last 19 years. Discover why TV's David Bellamy thinks that Searles is a green champion! 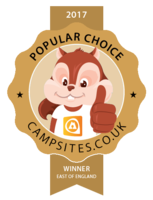 "Searles Leisure Resort continues to retain the Five Star award for a further year. It is without doubt, the attention to detail and the range of facilities that ensures that this continues combined with a most enthusiastic team". Be a conservation champion help us to look after the local environment. 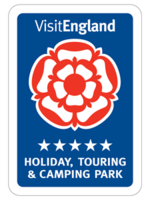 This scheme was set up in 1996 in consultation with Professor David Bellamy, making holiday parks more conscious of the local environment. 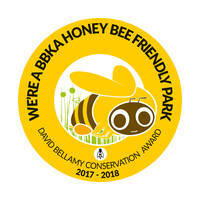 The scheme encourages parks to use good and sustainable environmental management practices, which in turn helps to encourage growth in Wildlife, animals and plants. 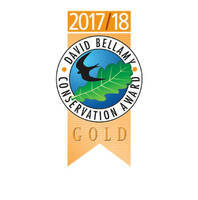 To date more than 500 parks have gained The David Bellamy Conservation Award. Even before the Award Scheme was introduced, Conservation has always been important to Searles. 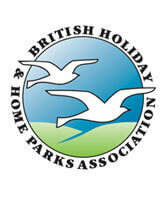 At that time our Chairman was also the National Chairman of the British Holiday & Homes Parks Association, who was part of the committee that encouraged Professor David Bellamy to put his name behind the scheme. Searles joined up in 1996 and ever since 1998 has been a Gold Member. Searles keeps a keen eye on Areas such as The Park Entrance, The Boundary of the park, how pitches are laid out, Formal Gardens, Lighting, Alternative Energy, Wildflowers Wildlife and Water Wisdom and Refuse Management. Everyday more and more people are changing their attitudes towards conservation. One major growth over the last few years is the level of recycling that is done at home. The introduction of green boxes has enabled everyone to separate items such as plastics, card and paper from Normal Household waste. We use Biffa Waste Management to remove our waste from the resort, they then deliver to the transfer station instead of straight to a landfill site. This will allow ALL our waste to be sorted and recycled. This we feel is a large Step forward to Reducing our Carbon Footprint. We also are looking at ways to conserve water, at present rain water runs from the plaza roof and goes from our drains into one small river which runs through the park. Instead of this, we would plan at collecting the rain water to be used in watering many plants and flowers around the park. Other examples to conserve water are push type taps and showers in our amenity areas. We are also looking at investing in new equipment that will reduce the amount of water litres per minute without comprising the performance. The water droplets travel further because they have more inside them. The initial results have been very promising with litres per minute reduced by half. It will also mean both electricity and gas costs are reduced, as you do not have heat so much water. We endeavour where possible to use low energy bulbs and also keeping unnecessary lighting usage around the park down to minimum. You can conserve electricity by switching off appliances such as televisions and video recorders at the socket rather than leaving them on standby. As part of the ongoing mission to look at alternative energy, Searles installed 80 solar panels to their Leisure Complex in 2016, this initiative will not only save energy required from the electric companies, but is also more kind to the environment. Spread around the park are many formal gardens, to create colour and attract wildlife. There are also areas which we leave to grow as nature intended, such as to the side of the golf course road, areas in and around Golf Course and an area between our Lodges at 204-216 and Rookery Court. We also have left areas between 217-221 Cabins and Gower Court, and between the Cottages and Sandbanks untouched. We have planted a lot of buddleia and similar plants in these areas and the touring section to attract Butterflies amongst other wildlife. Searles has also installed three purposely built bee gardens to encourage and help honey bees as part of the British Bee Keeper Association Honey Bee Pledge. We, at Searles are continuously looking at the carbon impact our park has on the environment. We are conscious that this a big challenge, but we also recognise everyone is becoming more mindful and educated to the issue of conservation. Finally, please help Searles to care for the environment by Recycling when possible, and by being conscious of your Electric and Water usage. Use our Land Train to get to the Town Centre, The Lighthouse or Old Hunstanton Beach, you can also connect with The Coast Hopper Bus Service at the Lighthouse Car Park. Contact reception for times of services. Leave the car behind and explore at a slower pace, one of the best ways to explore the area is on foot, by bike or even horseback. The paths and quiet lanes inland are ideal for this, and buses or trains can take you further afield. If you do use the car, drive and park carefully the coasts roads are often narrow and winding, so great care and slower speeds are needed. Please park only in designated areas such as car parks, and not on the verges. Take care not to block gateways or access points. Shop locally - buy local specialities, support local services. The shops in the area sell excellent fresh produce, local specialities and products. By buying these and shopping locally, you will be helping local producers and shops keep their communities thriving. Other services such as public transport, taxis, pubs and other local businesses also need your support. Keep dogs under control, preferably on a lead, keeping dogs on leads will solve one of the greatest problems for wildlife in the area, preventing disturbance particularly to nesting birds in the summer. Livestock and game will also be protected, and children and other visitors won’t be upset. Finally, please always clear up after your dog with a ‘Poop Scoop’ or bag. Everyone’s concern today is global warming of which we can all make a small difference by Recycling. The introduction of a Recycling area with green bins has enabled everyone to separate items to successfully increase our Recycling potential. Leave nesting birds in peace, keep to paths, and play on the beach, not in the dunes. The dunes and shingle areas at the back of Norfolk’s beaches are sensitive areas. Plants on dunes and saltmarsh are easily trampled, and nesting birds on beaches are difficult to spot (although some nesting areas are roped off) and easily disturbed. So please stick to paths and play on the beach below high water mark, and not on shingle or dunes. N.B. All of the Hunstanton Beach Area can be used for beach activities as it is designated for this purpose. Support organisations which look after the area. You can support organisations which care for the area, from conservation bodies to local societies, church appeals to local charities, by making donations, becoming a member, supporting local events or even giving some time. Help from volunteers is very gratefully received by many organisations. View the Towns Heritage by visiting the Heritage Trail details available at the Tourist Information centre at the Town Hall. And Finally...Respect the privacy of local people and the enjoyment of others. By kind permission of the Norfolk Coast Partnership.